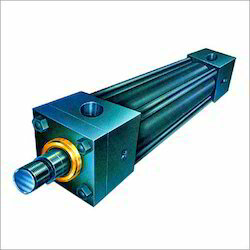 Industrial Hydraulic Cylinders offered by our firm is widely accepted by our esteemed clients. These are manufactured and designed in accordance with the established norms & standards of the industry. We are the leading manufacturer and supplier such as Industrial Hydraulic Cylinder in Andhra Pradesh, Karnataka, Kerala, Pondicherry & TamilNadu Areas; Chennai, Coimbatore, Cuddalore, Dharmapuri, Dindigul, Erode, Kanchipuram, Kanyakumari, Karur, Krishnagiri, Madurai, Nagapattinam, Namakkal, Perambalur, Pudukottai, Ramanathapuram, Salem, Sivagangai, Thanjavur, Theni, Nilgiris, Thoothukudi, Trichy, Thirunelveli, Thiruvallur, Thiruvannamalai, Vellore, Villupuram, Virudhunagar, Ariyalur, Thirupur, Thiruvarur. We are reckoned as a highly reputed organization, engaged in offering a broad range of Telescopic Hydraulic Cylinder. These telescopic cylinders are perfectly designed by our experts of this particular work after utilizing best material along with market norms. 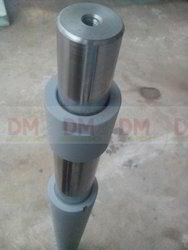 The offered telescopic cylinders are provided with numerous stipulations accordingly with the customer’s needs. Looking for Industrial Hydraulic Cylinder ?